If someone were to come to you and tell you to repeat the words “Ay Yay Yay Yay” over and over again, what would you think? What if they interlaced this chorus with a reflective drawn lyric choice reflecting dark rooms, late nights, and the decisions we make alone on a Friday night? Sounds a bit strange. And you’d be right. Strange can be good though. After all, as we soon find out Funk and swagger go together like Scotch and chocolate cake. Or so Vinyl Richie would have you believe. The simple beat and repetitious lick of “Ay Yay Yay Yay” molds a driving foundation upon which an ominous and catchy track develops in the light of guitar sway and echoing hooks. So much so in fact, you body will begin to rock, your foot tap, and you’ll start singing along. 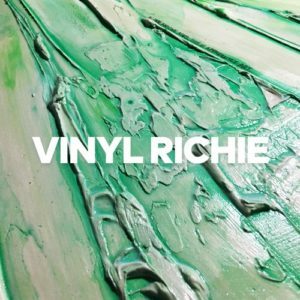 This entry was posted in Singles/Videos and tagged Ay Yay Yay Yay, funk, Rock, single, song, swagger, Track, Vinyl Richie by Greg. Bookmark the permalink.